Emergency Disaster Plan - Is Your Family Prepared? Emergency Disaster Plan – Is Your Family Prepared? Recently, the Ad Council released a humorous family disaster preparedness PSA that went viral. The 60-second spot on behalf of FEMA’s disaster readiness program raises awareness about disaster prep. It features a family discussing an ironic un-disaster-plan. The family discusses the things they will contribute in the case of a disaster, including a duffle bag full of things that aren’t helpful, a generator without gas, cell phones that don’t work and more. It’s funny and definitely has caught some attention. “And, who’s going to handle supplies?” Mom asks. “I can forget to do a list for us,” the teen son answers. September is National Preparedness Month. 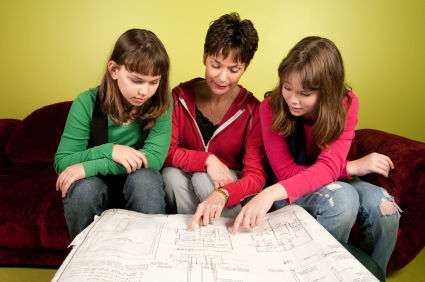 What better time is there to create a family disaster plan? It’s currently hurricane season in the south and in a few months and it will be blizzard season in the north. But disasters can strike at any time, in any place, to anyone. It’s important for families to prepare how they will handle disasters when they happen. The MamaBear team spends a great deal of time and energy keeping parents informed and children safe while using of the MamaBear Family Safety App which can prove to be helpful during a disaster. What does preparedness involve? It involves sitting down and talking about a disaster communications plan. Certain questions should be answered at that family meeting. For example, who calls whom in the case of an emergency? What are all the contacts – home, school, work – where family members can be reached during an average day? At the meeting, your family can also build an emergency kit that includes key emergency necessities like food, water and first aid supplies. In addition to discussing a plan, compiling crucial contact information and creating an emergency kit, you can also prepare by role playing what you would do during a disaster. Who takes on what tasks? Hold fire drills in your house so everyone knows how to escape safely in the event of a fire or other disaster. These things might seem silly, but acting out a disaster can bring a family together in a fun way while helping everyone to imagine how to behave in an emergency situation. “Before an emergency happens,” says FEMA, “have a family discussion to determine who would be your out-of-state point of contact, and where you would meet away from your home — both in the neighborhood and within your town.” FEMA helps families do this by offering a useful family communication plan form that can be printed, filled out here and kept in the home for referral in the event of an emergency. FEMA’s ready.gov site is an excellent resource with details on how to prepare for a disaster as a family. Redcross.org offers another disaster preparedness site that includes specific information on how to prepare for hurricanes, tornadoes, floods, earthquakes, and fires. Hopefully, your family will be spared from disaster. But if something terrible does happen, having a family disaster plan will empower each member of your family to take action and stay safe. Share with us in the comments below your family’s emergency disaster plan.